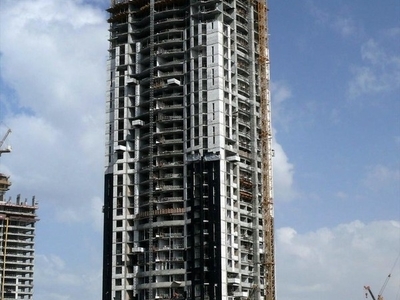 The Lake Shore Tower 1 is a 46-floor tower in the Jumeirah Lake Towers in Dubai, United Arab Emirates. The Tower has a total structural height of 165 m (540 ft). Construction of the Lake Shore Tower was completed in 2008. Here's the our members favorite photos of "Skyscrapers in Dubai". Upload your photo of Lake Shore Tower 1!